Guest Author: Nonnie Jules on an (ALMOST) PERFECT DAUGHTERS Blog Stop! | Our Lady of Victory Remembered! Guest Author: Nonnie Jules on an (ALMOST) PERFECT DAUGHTERS Blog Stop! Shirley: Tell us a little about yourself. Nonnie: Shirley, before I get into answering any questions, let me thank you and your readers for having me today! I’m so happy to be here. Now we can answer questions! I am a wife of one and very proud mother of two “Angel” daughters as I like to call them, one young adult and the other a teenager. We live in Shreveport, with plenty of animals around. No cows or anything like that, but if you can imagine it, my two collect them in the animal department. I’m so grateful they don’t feel as if we’re headed onto Noah’s Ark or we’ve have two of everything! I love where we live because it’s very quiet and peaceful, gives me the solitude I need to think and create through my writing. Shirley: How long have you been writing and what inspires you to write? Nonnie: I started writing when I was a little girl, by keeping my diary. I would write poetry in those diaries, poetically summing up my days. Now, things that I see going on in the world inspire me to write. For instance, the day each of my daughters were born, I wrote a poem. A girlfriend of mine was abused by her daughter’s father, I wrote a poem. A really close friend of mine suffers with Bipolar Disorder, once again, I wrote a poem. I am so moved by certain events sometimes, that the only way I can work through those feelings, is I have to write it out. When that horrible massacre in New Town occurred, I wrote a poem and sent it to some newspaper online. I don’t even remember which, or if I even kept a copy of that. But it was beautiful piece of writing. Shirley: What made you want to write a parenting guide? Nonnie: Looking at the state of our children today, especially our Daughters, I felt that many of them were lost. I knew that a blueprint for parents was needed to steer them in the right direction, and get their feet planted on solid ground. I also knew that this blueprint had to be very simple. Not because of the intellect of the parents, but because if we are to be successful at something, we need a good understanding of what it is we are to learn, or we will never be able to teach it. We need step-by-step, turn-by-turn navigation even when honing our parenting skills. We need more user-friendly guides that are easy to understand and even easier to implement, and less-Bill-Gates-computer-coded type ones. Other parenting guides that I’d seen (not all of them), were very formal. Yes, that’s the word I’m looking for. They were formal in their format, formal in the tone, even the wording was kind of starchy and very intimidating. So, again, I wanted to keep it simple for parents. That way it would breed success and the guide would have been effective. Shirley: What was your inspiration for writing this book? Nonnie: My two beautiful (Almost) Perfect Daughters were my inspiration, and I will have to say that the many people who meet my daughters for the first time or the second and third time, and ask “HOW DID YOU DO IT?” and”HOW CAN I DO IT?”, these people were my motivation. So my daughters were my INSPIRATION and strangers and friends were my MOTIVATION. Anyone engaging in conversation with my daughters for even a few minutes, always ask the above questions. So, I said let me detail how I did it in a book. In the dedication of “THE GOOD MOMMIES’ GUIDE…” I say to my daughters that “my hope for them is that one day they will live in a world filled with more (ALMOST) perfect daughters just like them.” And that is truly my wish. Shirley: This may sound like a silly question, but I’d really like the answer to it just for clarification. What is an (ALMOST) PERFECT DAUGHTER? Nonnie: An (ALMOST) PERFECT DAUGHTER is a daughter who is as close to perfection as one can get. She is honest, intelligent, driven, compassionate, loving, God-filled, and very, very respectful…all rolled up together. No matter her age, she is continually respectful with anyone who’s older than she is, by addressing them as Ms.or Mrs. (insert name here) or by using “Yes Maám” and “No Maám” “Thank you” and “Please”. That’s an (ALMOST) PERFECT DAUGHTER and I thank GOD every day that he loaned me two! Shirley: I read somewhere that it only took you 17 days to write this book. And from what I’ve read, it is really a good book! But how could you compile all that you did, AND 100 tips in only 17 days? Nonnie: Well Shirley, this is a very easy question and one that I’m glad you asked. I lived those tips. Every day for 20 plus odd years, I have reared my daughters on the very tips you will find in “THE GOOD MOMMIES’ GUIDE…” That is why I was confident in wrapping it up when I did, and that was a mere 17 days. It may sound like a short period of time, but I was literally functioning on 3-4 hours of sleep a day during that period of constant writing and proofing. But what came out of it, made me extremely proud. I don’t necessarily believe that you have to spend a year writing to turn out a really good piece of work. To each his own, and what works for me, may not work for others. Most authors, when writing, have a lot of research that needs to be done and that does take time. Luckily for this guide, I had experienced, so therefore I was the research. Now for my latest novel, “Daydream’s Daughter, Nightmare’s Friend”, I had to travel back and forth between home and another city for the research, and it took me a lot longer than 17 days to write it. That just wasn’t needed for “THE GOOD MOMMIES’ GUIDE…” and I’m happy about that. Shirley: You call this guide “THE GOOD MOMMIES’ GUIDE… ” yet in the preface, you point out that it’s also for Grandmothers, Aunts, Teachers and even Dads. I do understand how the females could benefit here, but can you tell us how Dads can benefit from this guide and why they were even included in the list? Nonnie: Even though I titled the book as such, the guide is really a parenting guide for anyone who’s raising girls. I’m sure we’re all very aware that in today’s society, kids are not only being raised by their parents, they are also being raised in extended families, by grandparents, older siblings, Aunts, God-Parents and then there are those Dads who not only take on their role, but also the role of the mom. That is just the way life is today. I don’t know if you remember the Cosby Show but there was a spin-off of that show called A DIFFERENT WORLD. The theme song said “It’s a different world than where we come from”. It’s definitely not the way it used to be. And since the times have changed, we have to conform. This guide can prove especially helpful to men because there are things inside of the book that will never cross their minds in a million years, simply because they are MEN. So, if they were ever in a bind, all they’d have to do is pick up “THE GOOD MOMMIES’ GUIDE…” and teach. Now there are subjects in “THE GOOD MOMMIES’ GUIDE…” which some Dads will not feel at all comfortable discussing with their daughters, like the topic of Puberty. That’s when they enlist the help of the women in their lives: their mom, their sister or a really good female friend.Shirley: If you had to do it all over again, would you change anything in your book? Nonnie: Of course! I would have included only 50 tips, then I could have split the book into two! (laughing). I do have more tips left over so I am planning a second edition of this one. But really, there’s not anything I would change about my 1st labor of love. I’m happy with it just the way it is.Shirley: I have read your blog WATCH NONNIE WRITE! and you are really a gifted writer! Why do you encourage readers who stop by to FOLLOW you on your blog? I know some people ask for FOLLOWS merely to rack up the numbers, but I feel a different purpose emanating from you. What is it? Nonnie: Shirley, you are getting to know me a little too well. I do ask that people FOLLOW me for a reason. There are messages in my writing. Messages of hope, encouragement, determination as well as messages of loving and giving. We live in a very cold, harsh world, where people aren’t too keen on helping each other and I just don’t understand why. There is enough of everything in this big world we live in to go around for everybody, so why not share it? Or spread the wealth, as I call it. It’s not that hard. I see many people on Twitter “following” people in the literal sense, like little puppies being led around on a leash. Not thinking for themselves, not using their own brains, just “following”. I hope that the messages on my blog gives someone the strength to stand up and FEEL and THINK and SPEAK on their own, without someone else feeling, thinking and speaking for them. I hope my blog encourages boldness and strength in others who may not feel that they embody these characteristics.Shirley: What future projects can we look for from Nonnie Jules? Nonnie: The second edition of “THE GOOD MOMMIES’ GUIDE…” is due out in February, 2014. It’s called respectively, “THE GOOD MOMMIES’ GUIDE TO RAISING (ALMOST) PERFECT KIDS”, The Next 100! If you’d like to be a part of that book, please pop over to wp.me/p3sUCq-l4 for the details. I need you, so help me out with this one!I’ve also joined with 3 other individuals to form 4WillsPublishing. So, if you have a book inside you that needs to come out and you just don’t know where to get started, OR even if you’re established and you might need some of the awesome services we offer, stop by and check us out. We want to help put only THE BEST out into the industry. If that’s your goal as a writer, then consider giving us a try. 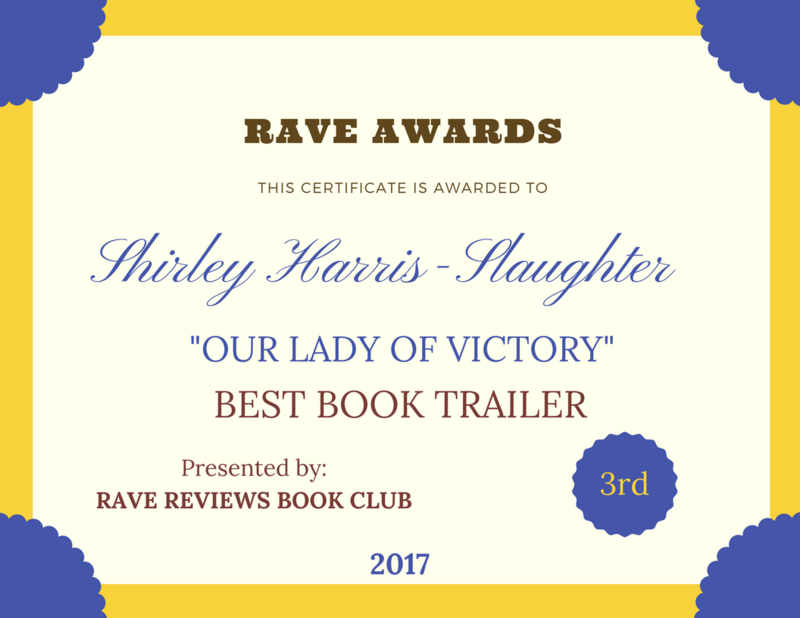 You won’t be disappointed.Shirley: How can readers keep up with you and all that you’re doing? Nonnie: I can be found on Twitter @nonniejules, on Facebook (Nonnie Jules), on my website @ nonniesbookstore.com and you definitely want to follow my blog nonniewrites.wordpress.com . It’s not hard to find me at all, if you can just remember the name NONNIE JULES!Shirley: Well this concludes our interview. Nonnie we have really enjoyed having you here, and hopefully I wasn’t too hard on you with these questions. Any last words before you go?Hopefully, you all will stop by and claim your very own copy of “THE GOOD MOMMIES’ GUIDE…at amazon.com/dp/B00CP62O56 or, if you have an upcoming baby shower to attend or know a new mommy, give them an autographed copy from NONNIE’S BOOK STORE.Thanks so much for your support today! This entry was posted in Guest Blogger on November 25, 2013 by Shirley Harris-Slaughter. Thanks for having me over again, Shirley! Everyone, enjoy and HAPPY TURKEY week. Let’s be thankful for all that we have, all that we’re able to do…each and every blessing, name them one by one! Anytime and I will get to work on the sharing thing.